today I took the Metro from Gaithersburg to Washington DC. It was a 40 minutes long trip, most of it underground so quite boring but it's still the best way to go in DC. Red line, exit "Metro Central", few miles of walk and here we go. The Capitol and the Lincoln Memorial, two of my favorite DC monuments. Of course around National Mall there are lots of free (or kind of) museums and stuff I love to visit. Today I had not so much time, but next saturday I wanna visit some of them . If you (reader) are living in DC and are so kind to suggest something to visit I'll appreciate. Hacking means find the right way to compromise a system, often software is not enough and sometime the attacker needs a hardware trick to compromise the whole system. This is the reason why I'm studying the Arduino board. Some of the real projects that I'm doing cannot be published (so far), but some else can . 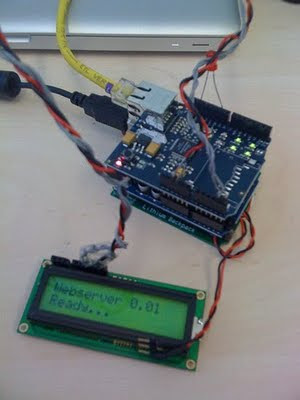 Using a simple Arduino 2009, an Ethernet shield and a common LCD is possible to make an interesting small and portable web-server. Following the code with a short descriptions. Note2: I've divided everything in classes, in such way you can divide the code in multiple files. Of curse, if no DHCP is detected, the server wanna be on 192.168.1.50 . Here some useful cost to define. Serial.println(inString); //Only To DEBUG ! This case is useful to figure out POST and/or GET actions. Hope to be useful . During my staying in the "romantic capital", lot of things happened. 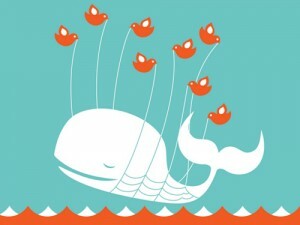 2) Twitter being used as botnet command channe. 3) Linux NULL pointer dereference due to incorrect proto_ops initializations. Actually I'm going to re-prepare my luggage, Direction Washington D.C. As I have already mentioned before, I'm going to work for NIST Security department. See you in Washington D.C in two weeks ! Distributed Denial Of Service, it's impossible to prevent. What you can do, is to put an upper bound limit which doesn't prevent DDOS. Let's say that your system answers up to 20000 requests, let's say that the attacker may perform 20000 connections, and let one user wanna use your service. That's all, the only true user can't use your connection because 20000 fake users are filling your system. I've used the word "system" because DDOS might attack your band-W or your hardware (server memory, server processor, and so forth). 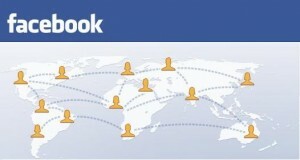 During these days two of the major network and fashion's services has been attacked ! FaceBook and Twitter were down for hours..
this is an amazing paper which explains how to hack Apple Keyboard Firmware. Everybody have a microprocessor/microcontroller which aims the device. Microprocessors run operations stored in some *PROM inside the device's box. Replacing the firmware means replacing what the microprocessor does, changing the computational logic. The concept is simple, a modern Apple keyboard has about 8K of flash memory, and 256 bytes of working ram. For the intelligent, this is more than enough space to have a field day.K. Chen demonstrated the hack to S|A at Defcon today and it worked quite well. You start out by running GDB, and set a breakpoint in Apple's HIDFirmwareUpdaterTool. This tool is meant to update the firmware in human interface devices, hence the name. The tool is run, a breakpoint set, and then you simply cut and paste the new code into the firmware image in memory. That's it.